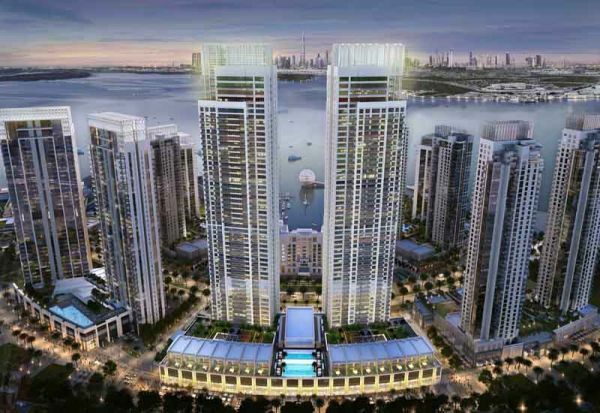 UAE-based contractor ASGC has completed foundation work on the Harbour Views project, a two-tower residential development located in Emaar’s Dubai Creek Harbour. The raft to the eighth-floor level has been completed on schedule, with the project achieving 20% of overall progress in the construction of the two towers, according to a statement by the contractor. As construction progresses, a total of 17,800 cubic metres of concrete has been used for the concrete work of the two high-rise towers so far. The company is also utilising advanced monitoring and controlling systems using 4D Simulation Planned as well as BIM Modeling and drones to provide the client with progress photos and videos throughout the construction process. The two towers comprise 50 floors each, three floors podium, and two basements levels and has a total built up area $179,000m2. ASGC has been awarded numerous projects by Emaar in the past year, being chosen as the main contractor for Emaar Misr’s Levana and Crescent projects last November, both to be developed in Egypt’s capital city.